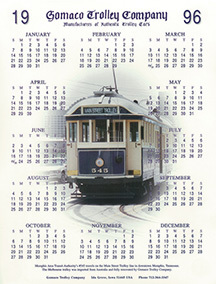 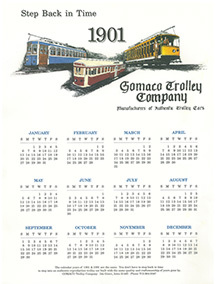 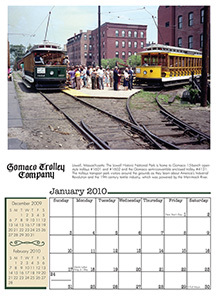 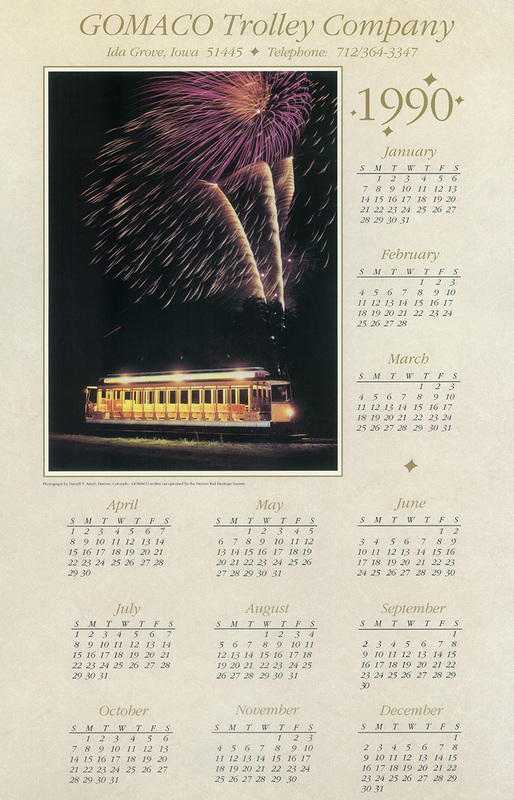 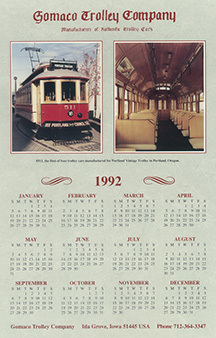 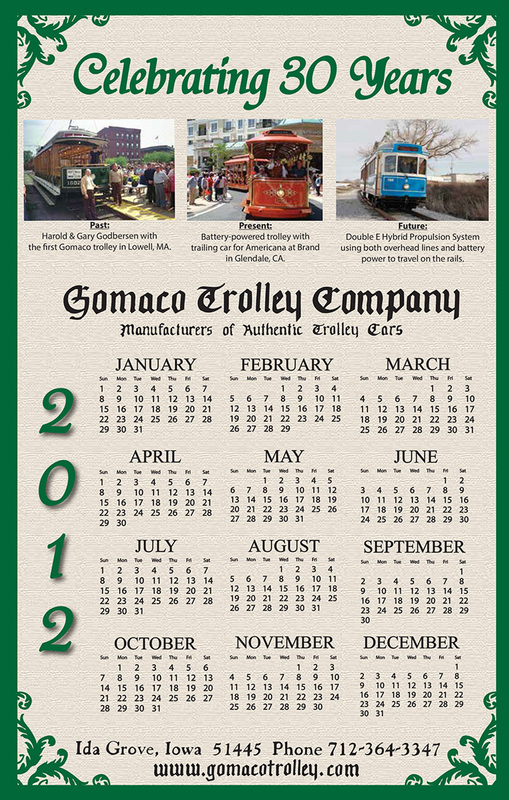 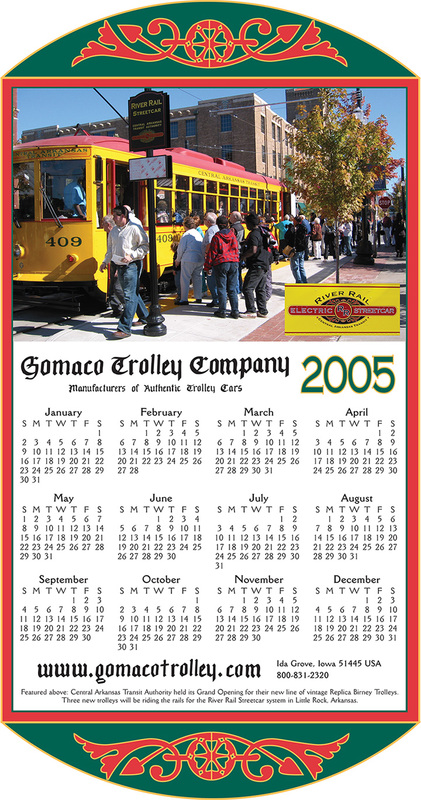 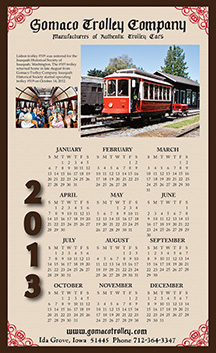 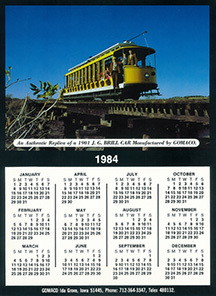 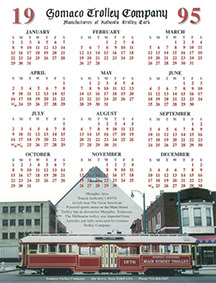 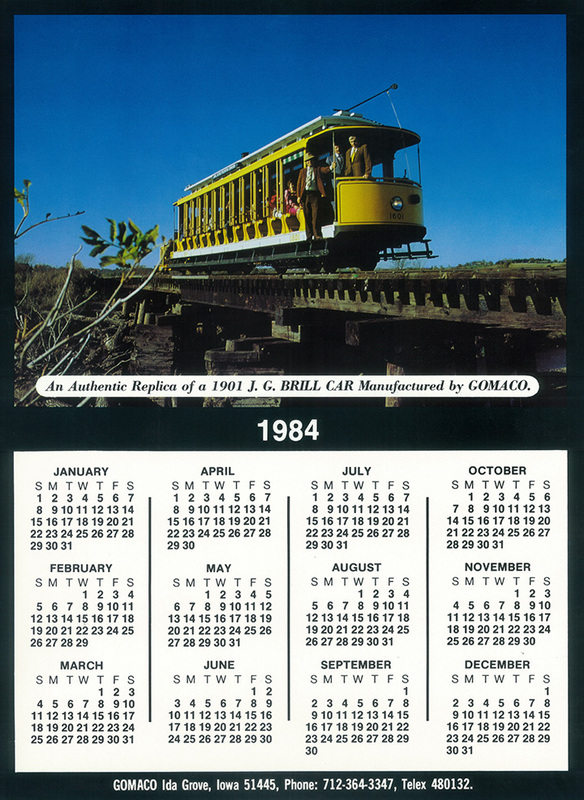 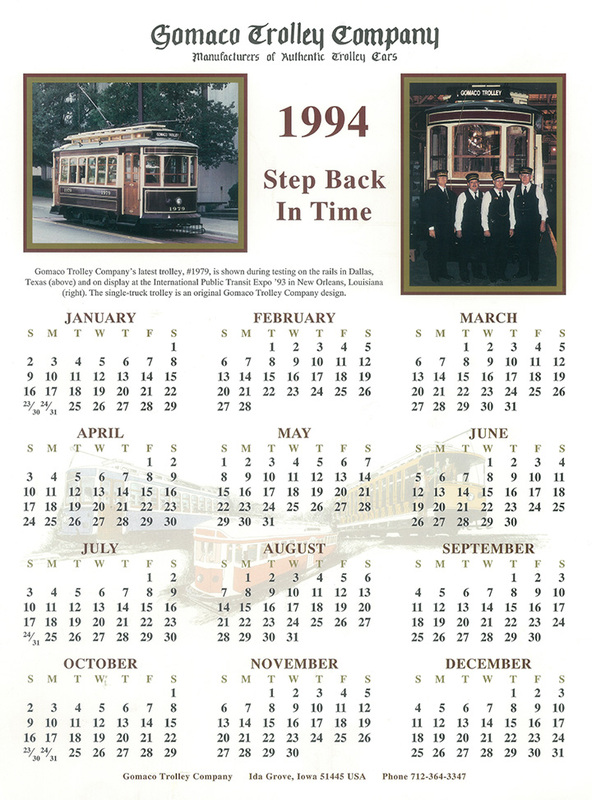 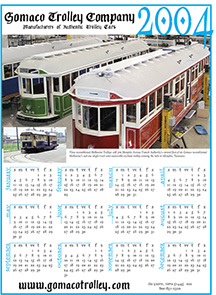 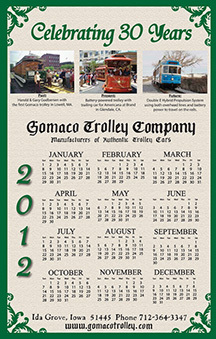 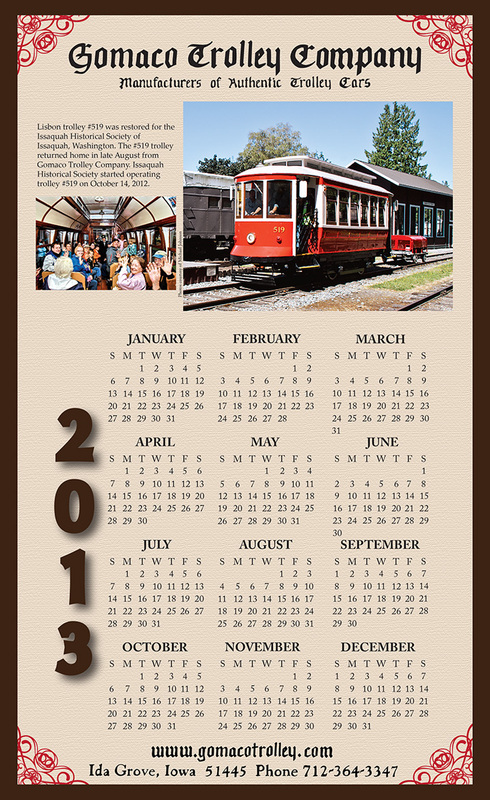 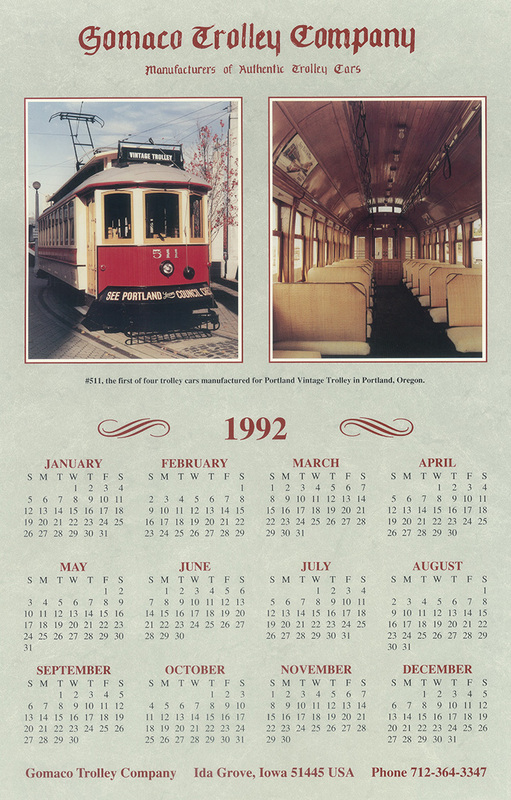 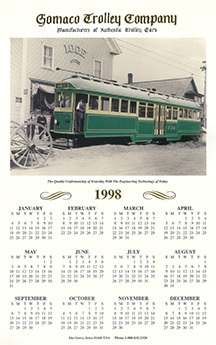 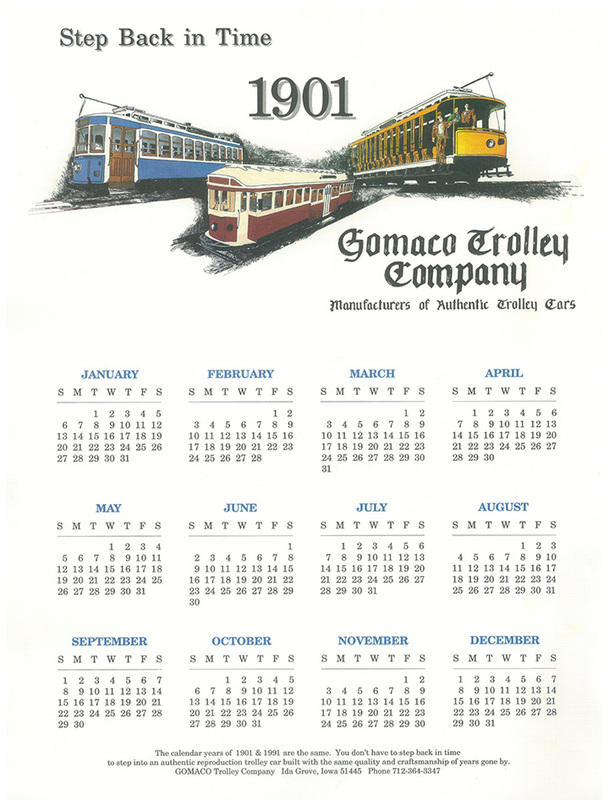 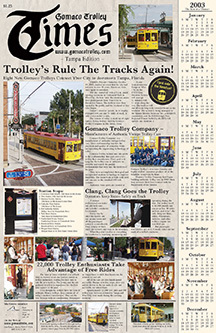 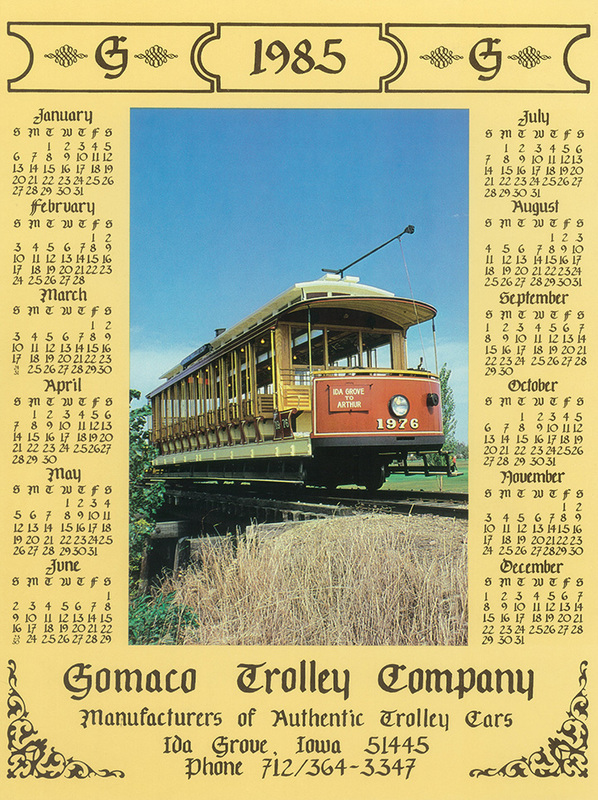 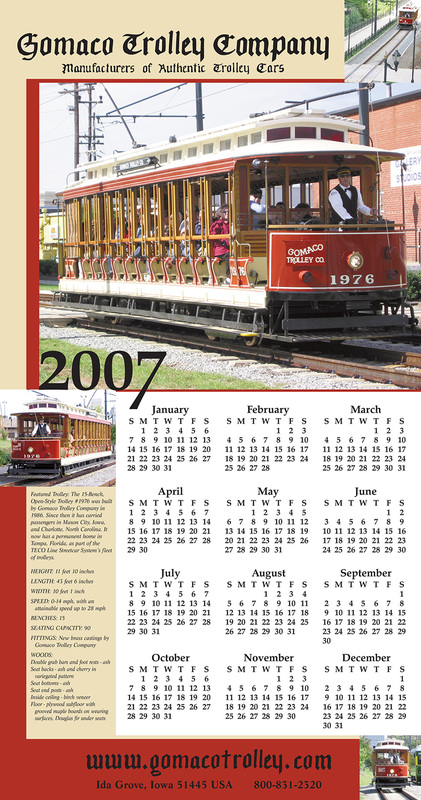 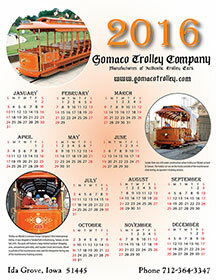 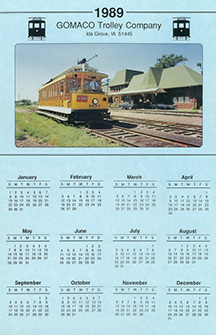 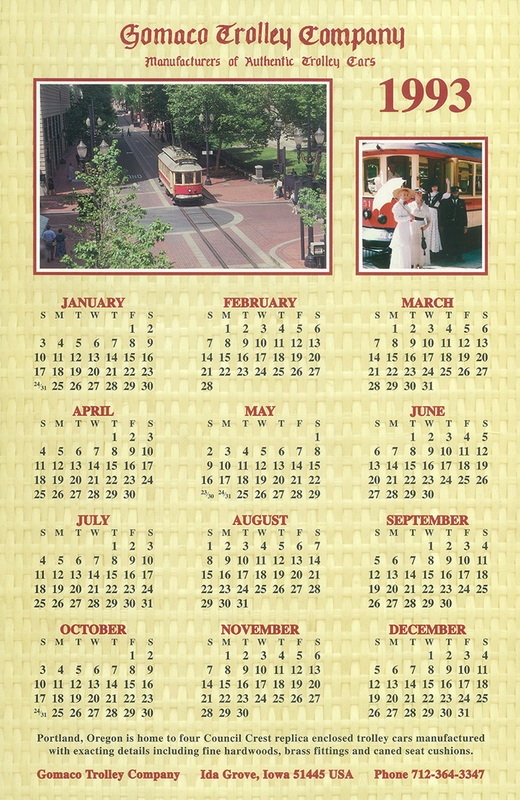 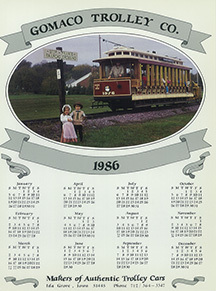 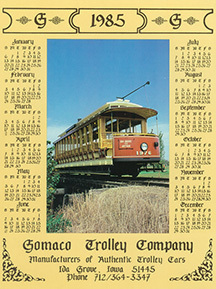 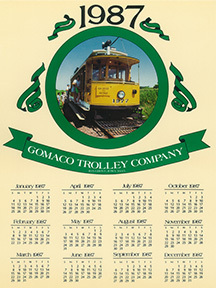 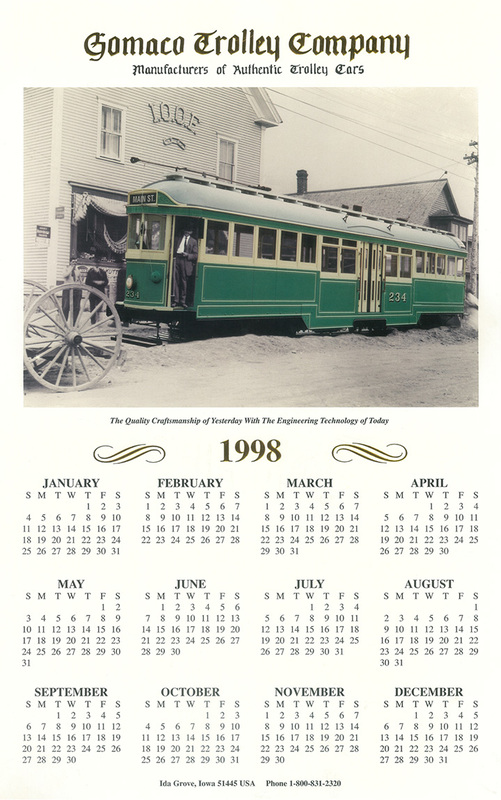 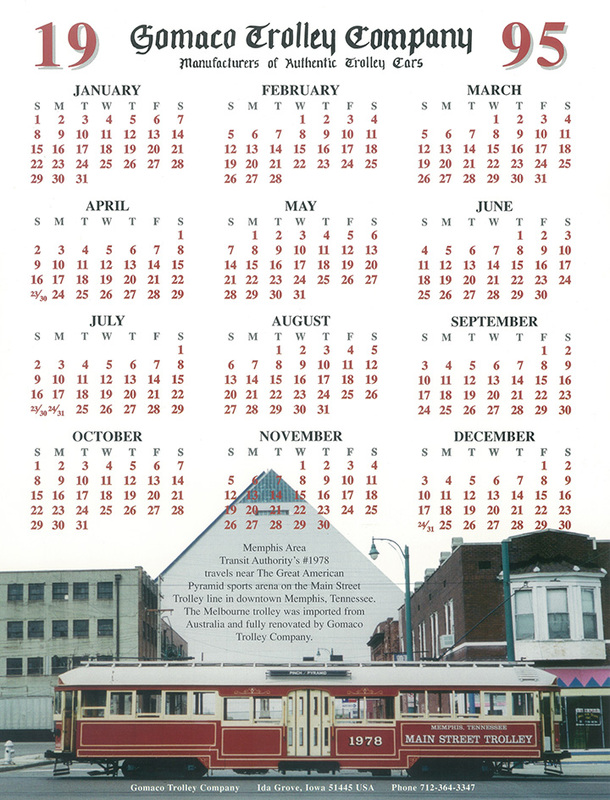 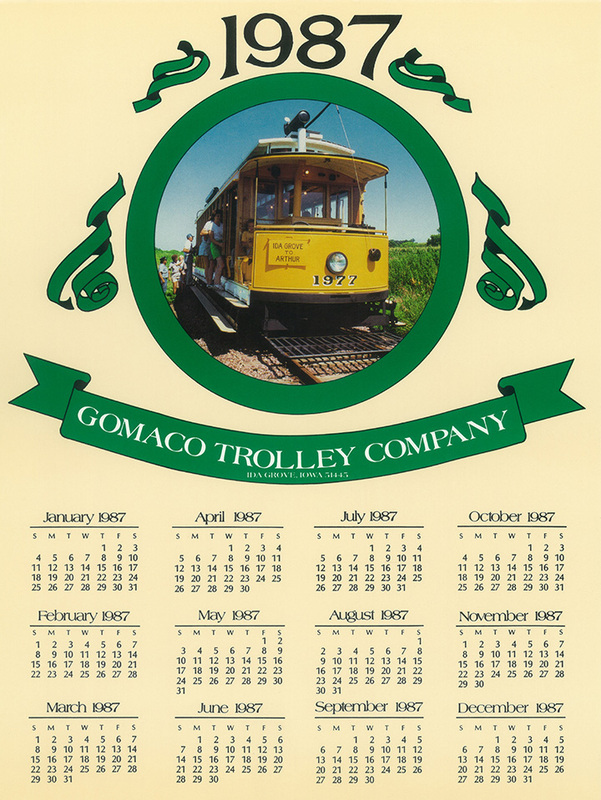 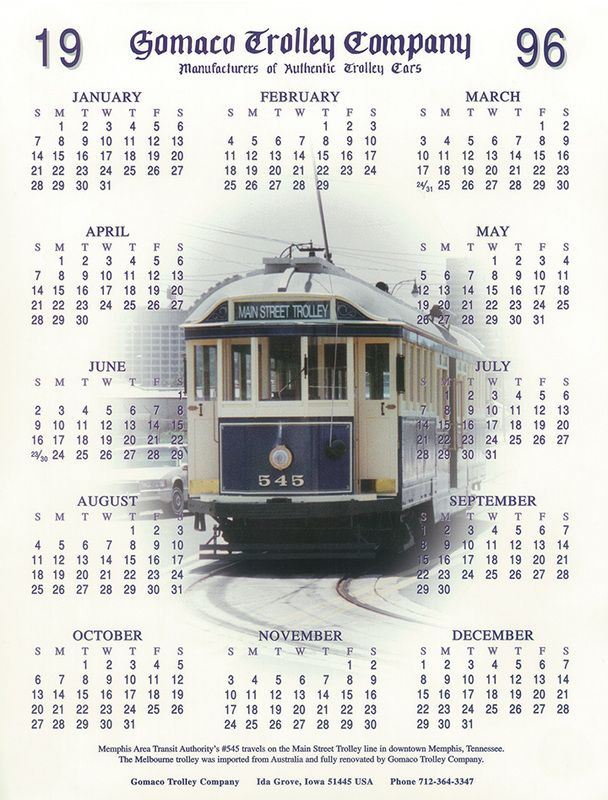 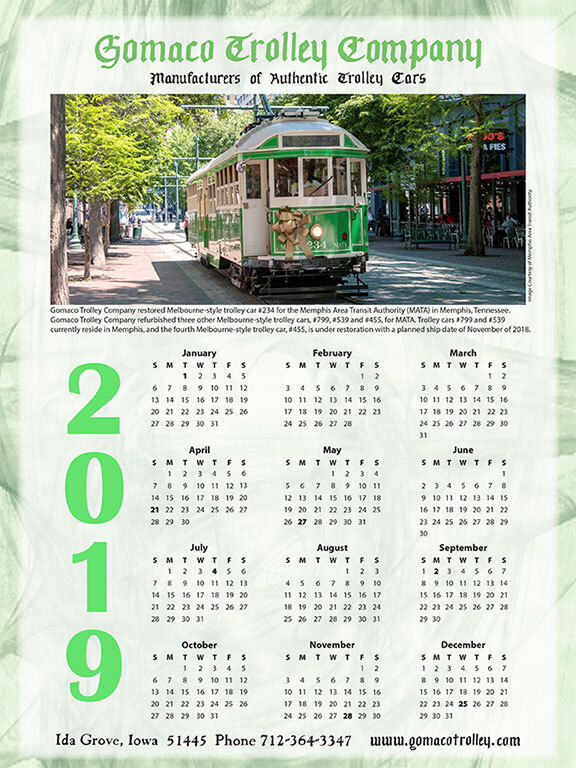 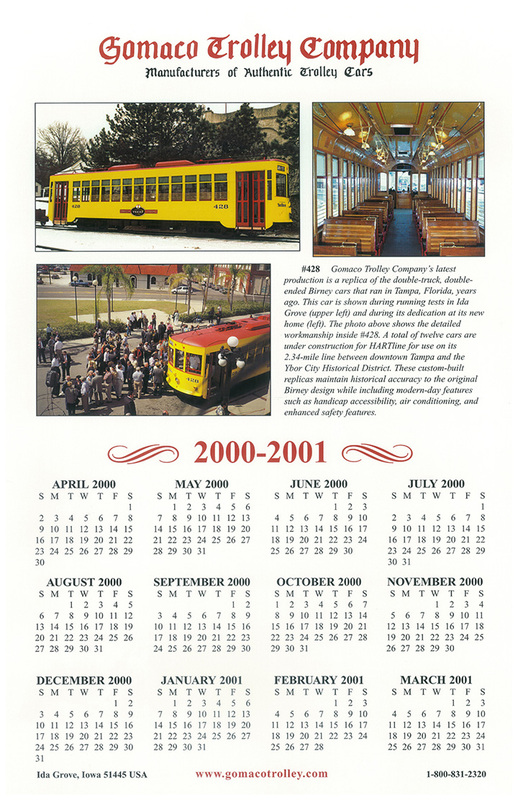 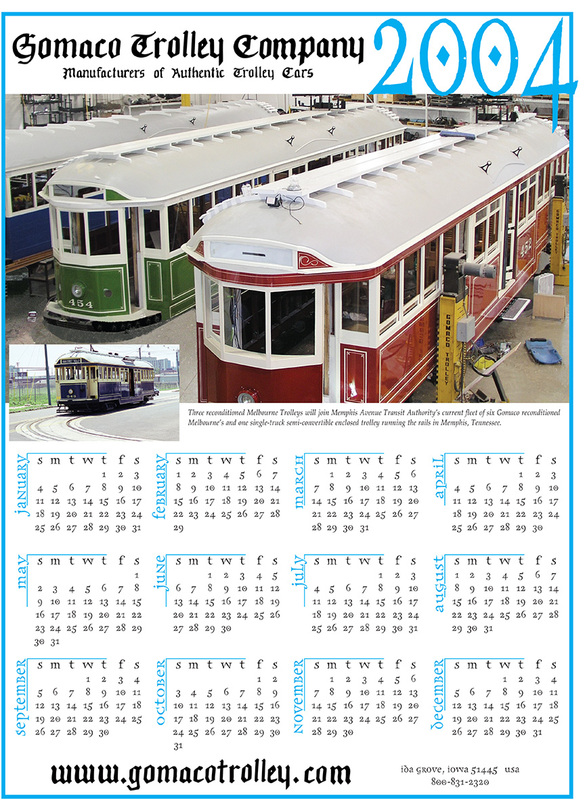 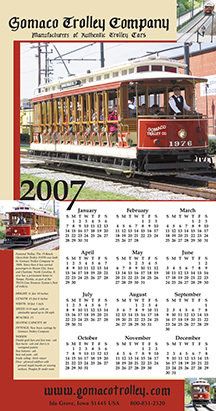 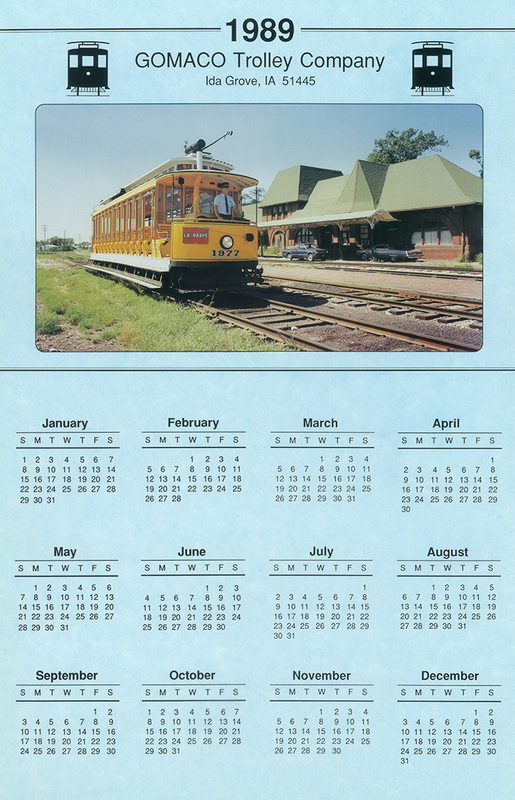 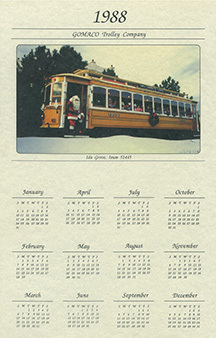 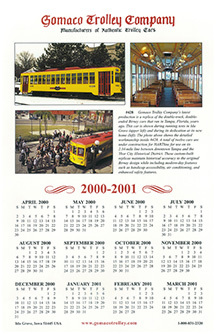 Since 1984, Gomaco Trolley Company has produced an annual trolley calendar, showcasing Gomaco trolley projects. 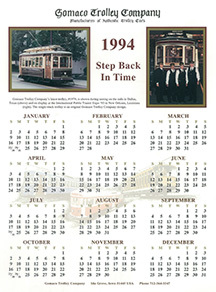 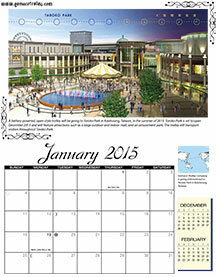 Click on any of the years to see a larger version of each calendar, and enjoy a "Step Back In Time." 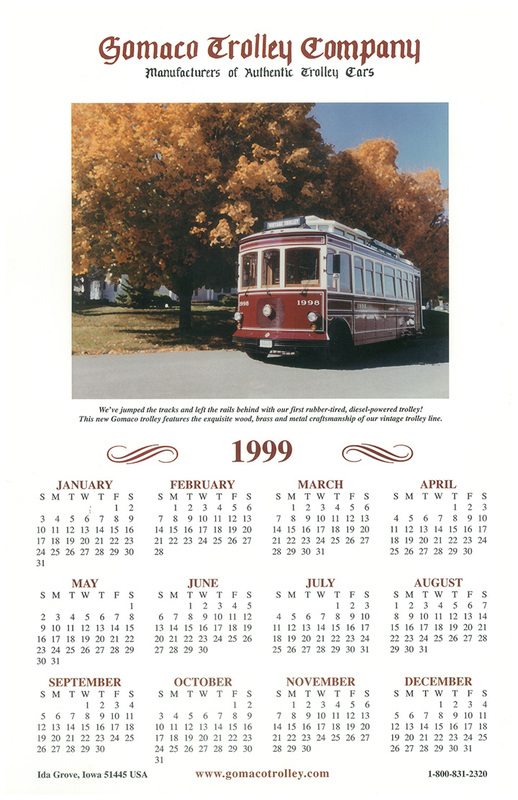 2015 is a flip calendar, with a different photo for every month. 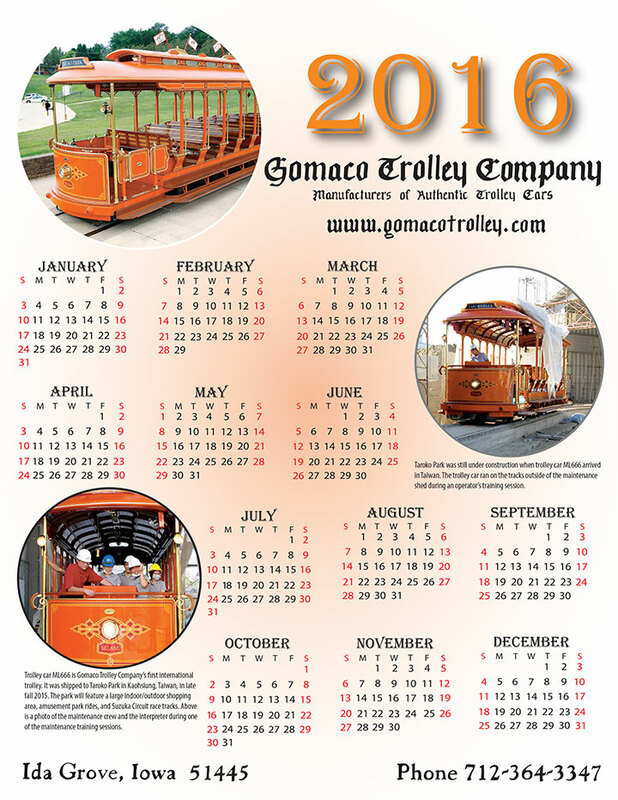 Click here, or on the graphic above, to see an animation that scrolls through the months and photos of 2015. 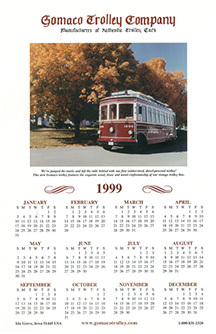 2010 was a flip calendar, with a different photo for every month. 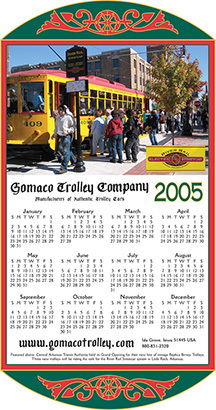 Click here, or on the graphic above, to see an animation that scrolls through the months and photos of 2010.